In 1912, the Saint Anna, a Russian exploration vessel in search of fertile hunting grounds, was frozen into the polar ice cap, trapping her crew aboard. For nearly a year and a half, they struggled to stay alive. As all hope of rescue faded, they realized their best chance of survival might be to set out on foot, across hundreds of miles of desolate ice, with their lifeboats dragged behind them on sledges, in hope of reaching safety. Twenty of them chose to stay aboard; thirteen began the trek; of them all, only two survived. 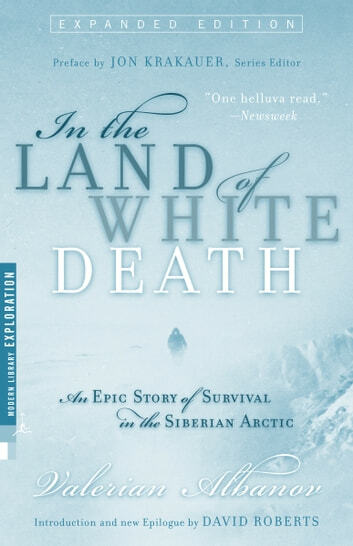 Originally published in Russia in 1917, In the Land of White Death was translated into English for the first time by the Modern Library to widespread critical acclaim. 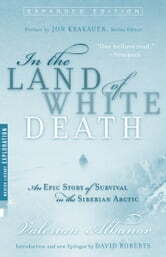 As well as recounting Albanov’s vivid, first-person account of his ninety-day ordeal over 235 miles of frozen sea, this expanded paperback edition contains three newly discovered photographs and an extensive new Epilogue by David Roberts based on the never-before-published diary of Albanov’s only fellow survivor, Alexander Konrad. As gripping as Albanov’s own tale, the Epilogue sheds new light on the tragic events of 1912–1914, brings to life many of those who perished (including the infamous captain Brusilov and nurse Zhdanko, the only woman on board), and, inadvertently, reveals one new piece of information—about the identity of the traitors who left Albanov for dead—that is absolutely shocking.